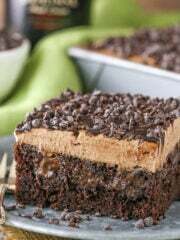 This Baileys Chocolate Poke Cake recipe is made with a moist Baileys chocolate cake soaked in more chocolate and Baileys Irish Cream! 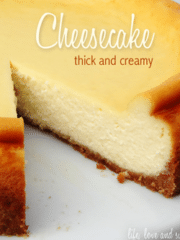 It’s topped with fresh Baileys whipped cream for a treat that you won’t want to stop eating! This is a cake that I will definitely need to make again. As with everything else you are seeing pop up on the blog since the twins were born, this recipe was created while I was pregnant. While I did take a little taste (naturally, I have to know just how good it is), because of the alcohol I wasn’t able to indulge as I would’ve liked. And believe me, I really wanted to indulge! So to make this cake, you start with a chocolate cake from scratch. I used my very favorite chocolate cake, modified to include Baileys. If you’ve ever had that chocolate cake, you know how amazing and moist it is. If you haven’t made it, don’t be alarmed by the thin batter and lower baking temperature. It’s all normal and makes one amazing cake. Once the cake is baked, it’s poked with holes (hence a “poke” cake) and covered with a mixture of melted chocolate, Baileys and sweetened condensed milk. Are you drooling yet?! The mixture should soak into the holes of the cake, but be sure that the cake is still warm and that the Baileys and chocolate mixture is still warm. The mixture will thicken as it cools, making it harder to soak into the holes. 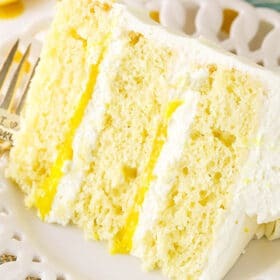 I also would recommend Eagle Brand sweetened condensed milk in this cake. I’ve tried a few others and some are thicker than others. Eagle Brand is thinner, which is ideal for soaking into the cake. If you use another brand or have trouble, just add some additional milk (or Baileys) to thin it out a bit. You may still have a thin layer of the mixture on top of the cake, but that’s fine. 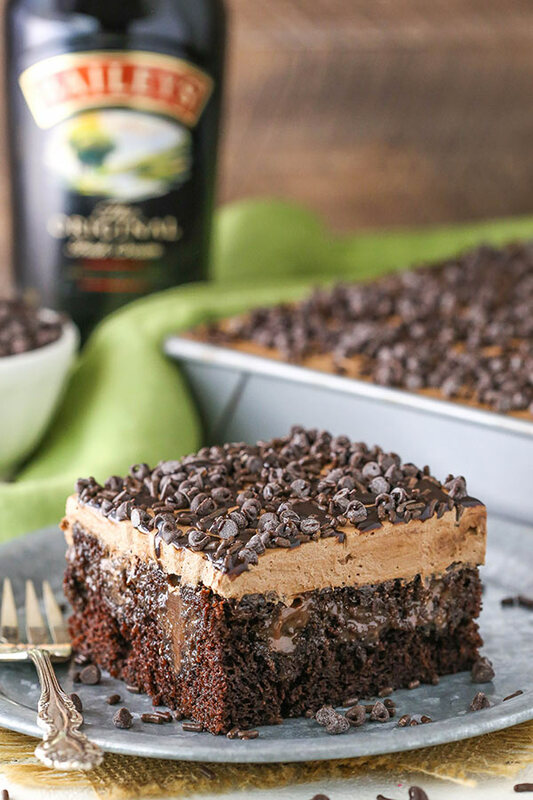 This Baileys Chocolate Poke Cake is made with a moist Baileys chocolate cake soaked in more chocolate and Baileys Irish Cream! I’m a little confused in the cake recipe it calls for a half a cup of Baileys twice? I can see where it’d be confusing. I’ve written it a little differently to make it more clear. 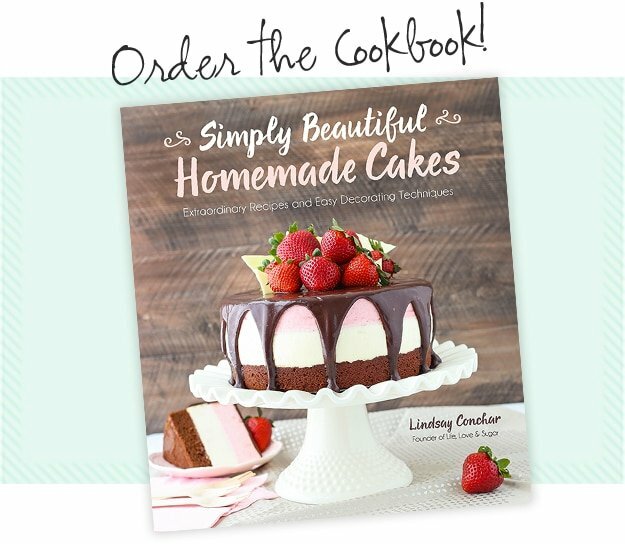 The recipes uses a full cup – 1/2 in the cake and 1/2 in the mixture poured over the cake after being baked. Hi my friend wanted to use baileys chocolate cherry can I use that the same as Irish cream? It should be fine as long as you like the cherry flavor. I would like to try this cake BUT I’m not wanting to put in 2 cups of sugar!!!! What do u suggest as an alternative. I honestly don’t have a suggestion. You could try reducing it, if you like. I’ve not done it though, so I can’t say what the result would be. If you use fructose you can use half the amount. 1 cup fructose = 2 cups sugar. It’s a treat, not an everyday thing. I used about 2/3 the amount of sugar, in both the cake and the topping, and it was a hit! I usually do it with most cakes, and it seldom fails. Fructose is metabolized in the liver – not good. Stick to regular cane sugar. 1. Use Splenda blend for baking (instead of sugar),. 2. Use 2% milk, not whole milk. 3. Use unsweetened or Fat-Free condensed milk. You might try half Splenda and half sugar. Or all Splenda, it measures the same. I’ve made cheese cakes with it and they turn out great. Not a good idea to use Splenda in baking, take it from my past experiences ! What can I use in place of the Bailey’s ? There are lots of suggestions for replacements throughout the comments, including making your own Irish cream and coffee creamer. For baking purposes, use the Splenda blend. (!/2 Splenda and 1/2 sugar), as the sugar is needed to make the item rise. For non-baked items, just use the Splenda. You can use applesauce in place of sugar. The ratio can be googled. I’ve done it before and it is okay, but I’d rather use cane sugar and enjoy it as is…just eat a smaller piece. I rated it five stars because it looks scrumptious and I can’t wait to make it for my nephews birthday! You could try using an Irish Cream flavored coffee creamer. So glad you asked. Was wondering the same. Don’t use alcohol then. Make Irish cream without the whisky. Very easily done too. 1 cup cream, 14 oz sweetened condensed milk, 3 tsp chocolate syrup, 1 tsp vanilla, 1 tsp instant coffee (no Irish Whiskey). Considering the effort that went into making this cake from scratch, I would be reluctant to introduce a processed coffee creamer into the mix. Much better to make your own Irish cream . I would definitely say Bailey’s is processed. I used the Baileys Irish cream coffee creamer, it’s non alcoholic and it has the same taste. Obviously makes it kid friendly and more of a family dessert. Um…the alcohol i this recipe is NOT baked…. What an incredibly delicious sounding cake! I haven’t tried making a box mix with Baileys, but you certainly could try it. Or you could just bake the chocolate cake and use the rest of the recipe – there’s quite a bit of Baileys and it should still have good flavor. Made this both ways followed the recipe and next time used a boxed mix just put in a half cup of baileys for half the water called for on the box…it’s much better from scratch but the mix was petty good too! Everyone loved this cake it’s a keeper! Thank you Lindsay for the great recipe! So glad you enjoyed it! Thanks for sharing your experience with a box mix! I made it with a box cake mix substituting 1/2 c. Bailey’s for 1/2 c. water. I used cool whip mixed with chocolate instant pudding folded in for the frosting. (Use only 1 c. milk + 2 TVs. Bailey’s in the pudding) I made it ahead of time, froze it and it was wonderful! Super easy and lots of requests for the recipe! Thank you! Glad to hear you enjoyed it and made it work for you! You can do a chocolate cake mix with a can of Guinness Bake as usual. Cool. And then Pour baileys onto the cake. Chill and make topping as recipe calls. Irirsh Car Bomb cake! Love it! If you use a box mix remember to use the Baileys as half of the liquid in the cake mix or the cake won’t set and will be runny. So if the box calls for 1 cup of water then use 1/2 cup of water and 1/2 cup of the Baileys to equal 1 cup. Actually, if you really want yummy cake, don’t use water at all. Replace water with milk. 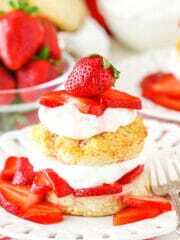 I’ve dont this with a box cake. I use 3/4 cup hot coffee and 1/2 c baileys. I omit the water and it turns out great. I just made this today using a devil’s food cake mix. It called for one cup of water. I used the 1/2 cup of Bailey’s and a slight bit more than 1/2 cup water. I followed directions for the rest. It was AMAZING. You can use a dark chocolate or chocolate fudge cake mix. Use Bailey’s instead of water, use your oil and eggs as directed. Then poke cake after it is baked and finish as directed. Might not be as dense and moust, but I have made other poke cakes from scratch, so I am sure this would still be wonderful anyways! It should be fine for at least 3-4 days if well covered. I wish your page showed a printable version!!! It does – you’re in luck! There’s a teal button labeled “print” in the pink recipe card. Just hit that button and it brings up the printable version of the recipe. The metal print box does not work! Did you mean “teal” instead of “metal”? I just clicked on it and it worked fine. Step 4… Is that the Bailey’s we’re adding? It says water, but there is no water on the ingredients list. Also to the sugar shy above – many artificial sweeteners have a 1:1 ratio when substituting for sugar. The baileys is added in step 3. The water in step 4 is listed under the vanilla extract. Hope that helps! I totally understood the Bailey’s ingredient amount, One cup devided, half cup each used at two different steps in the recipe procedures. Extremely easy to understand. Could you cook off the alcohol from the Bailey’s without ruining the flavor or the cream? I don’t drink alcohol but love the flavor of Bailey’s. Cook it off how? Like during baking? I’m not sure if it really cooks off or not. You could try cooking Baileys down in a pan before using it. Still not sure how it really affects alcohol content and it’d make the flavor stronger, but it could be worth trying. Irish cream is just heavy cream, condensed milk, cocoa powder, vanilla, and whisky. Just make some without the whisky. Once any alcohol reaches the boiling point the alcohol evaporates. I make my own vanilla by boiling rum with vanilla beans in it. I assure you that, even tho the alcohol reaches a full rolling boil at 180 degrees F (I measured it with my digital thermometer), AND I let it boil 3 minutes, there is STILL a great deal of alcohol remaining. The rum is 94 proof, which is 47% alcohol content by volume. When I finished boiling the 750 ml of rum, it had about 4/5ths of it remaining (about 600 ml). To boil out the full 47%, it would have had to have reduced by almost half. 47% of 750 ml = 352 ml alcohol. Subtract the 150 ml by which the volume was reduced (assuming that ONLY alcohol boiled off), and you still have 202 ml (200 ml, for easy math). 200 ml alcohol in 600 ml liquid is 33%, or 66 proof. So, boiling the rum reduced it from 94 proof (47%) to 66 proof (33%). Sorry for the math, but if the alcohol is an issue, make Irish cream from scratch without alcohol. I’m not really sure what method you are looking for. Do you use pinterest? It’s easy to pin it to a board and refer to it later. Snap shot on your phone. Copy and save to your hard drive on the computer. Then you’ll have it always. I copy and paste all my recipes into WORD then I add them to my Google drive in my recipe folder to be available to my kids. I do the same thing as I have my recipes divided into different categories desserts, vegetables meats dinners etc. I put the picture in the corner of the page, add the recipe , and am able to keep it on my computer to email or print it out and give it to others. Open your PRINT app – choose: SAVE AS PDF option in print window. Save the file to a folder on your desktop. I open in Chrome on my phone, then bookmark it. I do this too only on my iPhone safari and it makes it easy when grocery shopping. I have the ingredients list with me at all times. I open in Chrome on my phone, then bookmark the page. This cake looks yumilicious. I wana make this but alas! I dont have oven.. can u tell me how much to set temperature in microwave oven for this recipe…! I haven’t ever made a cake in a microwave, so I’m not sure. Im not eat eggs so wts ican do?? What weight equivalent is 1 cup please? A cup of what? Not everything weighs the same. Could a cup of coffee with Coffeemate Irsh Cream be used instead of the Bailey’s? If you are looking to replace the Baileys in the cake, you could try just using the coffee creamer. I made this cake today to take to a meeting tonight. I wish I would have allowed myself more time. At 300 degrees, 40-45 mins was def not enough time. At 40 mins, there was way too much jiggle in the cake. I turned the oven up to 325 and had to let it go for another 20 -25 mins!! Was the time/temp correct in the recipe?? I also learned the hard way that I shouldn’t use the handle of a wooden spoon to poke the cake with!! Lol. I tasted the chocolate whipped cream after it was done, and I could have sat there and eaten the whole thing with a spoon!! It is light and oh-so-smooth with just a hint of sweetness. Def will make this again. We belong to a square dance club and at the board meeting tonight, it was suggested I make this for our upcoming St. Patrick’s Day party! I may attempt to make it into cupcakes for the party. Any recommendations on that?? Hi Lynn! Yes, the time is correct as it was baked in my oven. It’s possible there’s some difference between the way our ovens bake. I’m glad to hear you enjoyed the cake! As for cupcakes, that should be fine. I’d say they’d bake between 20-25 minutes, but perhaps that’ll be a little different for you. Then just poke holes in the cupcakes and add the whipped cream on top. Should be fine. Enjoy! i agree with the amount of cooking time. i just increased my oven to 350 and will let continue cooking for at least 10 more minutes. Also, why not use a wooden spoon handle? That’s what I intended to use . . . maybe I could “grease” it with some butter? Can’t wait to taste this, it smells so good! Your oven must be a convection oven, and others just traditional oven without a fan running inside of it. That sounds like a possibility. I do have a fan running in mine. Mine totally did the same thing! Definite error in oven temperature. Mine is still wobbly at 45 minutes and I just calibrated my oven this month. 300 sounds too low for most baking projects, wish I had gone with my gut and turned the heat up from the get-go. Hopefully it’s not ruined. The 300 degree oven is correct. I’ve baked this cake no less than 50 times in several different ovens. Perhaps it needs to bake longer in your oven, but it was accurate in mine. I completely agree. 300 is way too low. We are at 1 hour currently and I just turned my oven up to 325 and am letting it go for another 10. It’s completely liquid inside. It’s possible that Lindsay’s oven is hotter than most. Maybe she is at a different altitude. 300 is way too low at an average altitude. I have to chime in and agree. The cake was still batter after 45 minutes at 300, should be 350 for a standard oven. Sounds like you have a convection oven, but most recipes default to non-convection. You might consider at least noting this in your recipe. Once I got the cake baked, the rest was delicious! Thank you for the recipe. I baked the cake at sea level at 300 degrees and it was ready after 40 minutes. Currently baking mine now at 300 in a convection over and it wasn’t near being done at 45 mins. Just pushed it to 325 to see if that will speed up the process. I agree I would have allowed myself more time if I had known it would take so much longer than the recipe says. My oven tends to cook fast, so I checked it at 35 min and it was almost done. 40 min at 300 degrees was perfect for me. I’m surprised so many are having to cook it so much longer. Baked your yummilicious Baileys Choc Poke Cake over the weekend and was absolutely yummy yummy ! Specially bought the Baileys Irish Cream for this cake, now to go look for your other Baileys recipes ! Thank you for a great recipe and such a lovely blog. I left a comment last night and had a couple of questions in the comment. And it has disappeared. Why? Hi Lynn, your comment didn’t disappear. When someone comments for the first time (or with a different email address), it has to be approved before it appears. This helps reduce spam on the site. You’ll find it’s now there and I’ve responded. Thanks. Is the 300 degree oven accurate? It seems low for a cake. Lindsay, the cake looks great, as do all of your recipes, bur I’m really interested in news about your babies. Have they been born, yet? I know people don’t always post things like that; sometimes the privacy is more important. I was just curious. I hope you’re doing well. I made this cake with some modifications. I baked it @ 325 and not 300 degrees, for 35 minutes. I also added Espresso Powder (2 teaspoons) to the cake batter and then a teaspoon to the frosting, to punch up the flavor. Also, the directions were not very clear. Once I added the hot water, I beat the batter on high for one minute to add air to the batter; it turned out delicious. I baked it in a 14″ round pan and after it had soaked overnight in the refrigerator, I turned it out on a platter. The presentation when the frosting was added to the top, with the mini chips and chocolate drizzle, was so pretty and appetizing. Hi , The cake loooks yummmy . I’m from UAE , my Q is can I put any cream because I don’t use Irish cream !? Another liqueur should be fine, if that’s what you mean. Lindsay, do you think you could use Kahlua? If so, would it be the same amount? Yes, I’d use the same amounts. You could try another liqueur such as Kahlua. Is that what you mean? I think Hazelnut creamer would be delicious in this cake instead of the Irish cream. Hello! 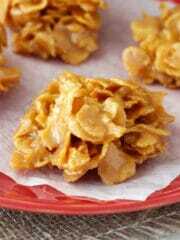 Making these today but dividing into 2 smaller pans. Should I adjust baking time or temp? Yes, you’d want to adjust the baking time (not the temp), but I’m not entirely sure of the time. Hi , I love your recipes . Is there way to change them into cupcakes? I haven’t tried it, but my suggestion would be to bake between 20-25 minutes. Then just poke holes in the cupcakes and add the whipped cream on top. Should be fine. Enjoy! Tried this on sunday for dessert …was super delicious. Tried it yesterday it was really yummy!!! Such a simple yet wonderful cake. I did add some expresso powder to the whipped cream frosting and left the Baileys out, will try with both next time 🙂 Thank you!!!! I live in the UK, is all purpose flour ‘plain’ or ‘self raising’ which is what we have over here? Guessing heavy cream is like our double cream? Might do this for mother’s Day this Sunday! All purpose flour would likely be plain flour, not self rising, which has leaveners in it already. Not sure about the cream, but if double cream is what is used to make whipped cream, then that would be it. 🙂 Enjoy it! YUM! I reduced the sugar to 1.5 cups and it was so good. Thinking the next time, I might even drop it to 1 cup. With the sweetened condensed milk, I don’t think reducing the sugar would even be noticed! I had a similar issue with the cooking time, but just kept checking it. The frosting was so light, almost like a mousse that could be eaten on its own. I didn’t top the cream with the mini chips and choco drizzle because I didn’t have either, and nobody missed them. Definitely a keeper going into the binder! Awesome! Glad your changes worked and that you enjoyed it! Just put the finishing touches on this for tonight! Can’t wait to see what everyone thinks! I’m hope it’s enjoyed by all! Wondering of there is a way to make the frosting white chocolate instead of milk? Need to dye frosting green for St. Party’s. Not that I know of, but you could just swap out the cocoa for additional powdered sugar and you’d be able to dye it. Panicking a little – just realized I forgot to add the water. Any idea if it will be edible? It looks OK.
Hmmm, not sure. I hope it turned out alright for you! Hi there! Making this tomorrow and I was wondering if I could do the milk mixture on the stove instead of the microwave? I would imagine so but want to check if there’s a reason you specify the microwave. Yes, it would be fine to do it over the stove. Made this yesterday and it turned out fantastic! 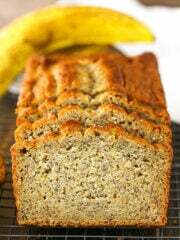 I did substitute coconut oil for the vegetable oil which I have been doing with all my cakes, great recipe! The Baileys frosting is excellent! Thank for sharing. I have been looking for an embossed glass measuring cup for several years, with no success. Would you mind sharing the brand name of the one in the video? Thanks so much! Here is the link to the measuring cup! I hope you enjoy the cake! what if i dont have irish cream..what is the its substitute ? Is there another liqueur that you’d like to use? If you’re looking to leave it out altogether, you can use the recipe as written here for the chocolate cake and then follow the rest of the recipe. 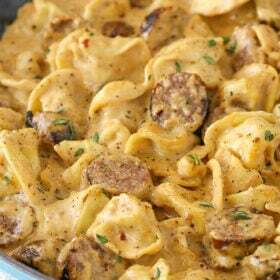 I’m currently making this now — yum! It smells good, and I just KNOW it’s going to be a keeper. I have had zero troubles reading and following your directions. My cake is at 30 minutes, and already it is setting at 300 deg. Thanks SO much for this recipe! I made this tonight. I cheated and used a boxed cake mix and mixed 1/2 water and 1/3 Bailey’s in the cake mix. I used the Chocolate cherry version of Baileys and it is amazing. My 2 favorite flavors combined. Will defiantly make again. Gave a giant chunk to the neighbor and she raved about it. So glad to hear it was a hit! The cherry addition sounds delicious! I’m not well enough to tackle this, but our son is really starting to enjoy cooking & baking, wants more complicated dishes I can’t make anymore. Maybe he’ll want to give this a go. THIS IS NOT A CAKE,,SORRY…. it’s,an pray in a 9x 13 pan!!???? Instead of using Irish cream, I used one cup of store bought mocha iced coffee in the cake and half a cup with the heavy whipping cream. It turned out so amazing and was so moist. I absolutely love this recipe!! You should be able to use heavy whipping cream instead. The mixture may be a bit thicker, so you could increase the amount a bit. Hi Lindsay, Do you have any idea how to change this recipe for high altitude? We are currently in Jackson Hole, Wyoming and would love to make this for a dinner party. Thanks. I’m sorry – I’m not really familiar with high altitude baking adjustments. Just wondering if kids could eat this cake. That’s a personal call. There is uncooked alcohol, so probably not. I have one recipe that uses 1/4 cup boiling water and one says 3/4 cup…. not sure how much? I’m not sure where you see 1/4 cup, but it’s listed as 3/4 cup in the recipe above which is correct. Thank you for this amazing recipe. I made this for a small party at home. I am glad it turned out great and was all gone before I knew! It was absolute favourite of everyone and now they can’t stop asking me about the recipe. I am sharing the link of your recipe with my other friends hoping that they have as much fun baking as I did. Thanks again for the recipe. Cheers! So glad you enjoyed it! Thanks for sharing the link! I tried this cake tonight. I agree that the 300°C for 45 mins was too low. The center is very wet. I took someone’s advice and I’ve increased the temp to 325°C for 10 mins. I’ll see in a bit if that works. Sides are done though but not the centre. I made this yesterday for my grandfather’s birthday. It was a hit and I’d make it again and again. One question: Do you hava a recipe for a simple ganache without sweetened condensed milk I could use for the middle? I’d like to try it again, but with the 2 cups of sugar and the SC milk, it was a bit much. Glad you enjoyed it! I’m not entirely sure without trying it, but you could probably just use heavy whipping cream instead of the SCM and it’d be fine. The mixture may be a touch thinner though, so you could try reducing the cream by maybe 1/4 cup. Can you cut recipe in half to make a smaller version? Anyone do this or make in two pans and freeze one before the whipped cream? Yes, you could cut the recipe in half. I made this cake (with just a little of the Bailey’s in the topping) and took it to work today. Let me tell you, it was a hit!! I only had 4 pieces left(out of 20) after our first break (9 am). I too had a hard time getting the cake done at 300 degrees so I just upped the temp and kept an eye on it. I will however try it with a box cake mix next time and just put half cup water and half cup Bailey’s in it. Not a hard cake to make but just a bit time consuming and it takes ALOT of measuring cups, I think I used every one I had…For the mixture that covers the cake, I misread your instructions and combined the choc chips, eagle brand and the Bailey’s. I ended up putting on the stove and cooking it that way, got a little to thick but it soaked into the cake. So I will try and switch steps 7 and 8 so when I make it again, I won’t do that again. Now for the topping, let me tell you that is the best stuff and I think that keeps it from being too rich cause after all it is all chocolate!! My cake ended up being heavy like a brownie, is that the way it’s suppose to be? I’m glad you enjoyed it! I wouldn’t describe the cake as being heavy. I actually think it’s very light. Perhaps changing the temp had something to do with it? Or if the oven was opened quite a bit while baking to check it, that could have an effect. I am planning on making this cake, but wanted to check about preparing the pan. You state to grease the sides of the pan. Doesn’t the bottom need greasing and am I correct to believe no flouring of the pan is needed? Thank you. I’ve been baking since I was a little girl and the rule of thumb then was to grease and flour the pan. Also, what are you referring to, when you say drizzle with chocolate sauce? Can Hershey’s chocolate syrup be used? I appreciate your response to my inquiries. . Yes, you’d want to grease the bottom as well. I don’t flout my pans though, I used a non stick baking spray. As for chocolate sauce, I use Smuckers Sundae Syrup. Thank you so much for your quick response to my inquiries. I’m baking this cake tonight after work. It looks absolutely delicious! The Baileys Poke Cake was a hit at our faculty end of the year lunch. Many wonderful compliments. I’m not the most ardent baker, so this was a stretch for me……making a cake from scratch. Actually, the recipe was very easy to follow and pretty simple. I’m glad I read one of the comments that noted the batter appeared to be thin, but is meant to be that way. The one thing I would change that I did is to use something larger to poke the holes. A straw is not really large enough, in my opinion. Not enough of the chocolate was able to seep into the cake. All in all, it was a great recipe and even better experience to eat. I give it a 10 put of 10! Hi! What kind of milk did you use for this recipe? I always use 2% milk, unless otherwise stated. Hi, we use normal full cream milk. Will that be okay or do I need to dilute it? Thanks so much for providing the metric weight measurements for those of us no in the U.S. It is so difficult to find usable recipes as I find the majority give volumes rather than weights. I don’t know why since weights give much more accurate and reproducible results than volume. Do you mean whole milk? Or something like heavy cream? Whole milk should be fine, but I’m not sure about heavy cream. Hi Lindsay, thanks for your reply… yes I mean whole milk as opposed to skimmed milk. Actually I checked and it seems it is 3 or 4% so, as you said… it should be okay. This looks amazing!! Going to give it a try next weekend using the Bailey’s Caramel flavor and then drizzle caramel sauce on top. I do have question about how long to microwave the Baileys and the condensed milk. You don’t give any time frame. The time would depend a bit on your microwave. You want to watch it and stop it when it begins to boil. It shouldn’t be more than 2 minutes. Hi Lindsay can I go for a round cake pan instead of a square? Sure, you just might need to adjust the baking time a bit. I’m going to try and change this up a bit. I love Bailey’s Strawberry Cream Liqueur and since strawberries just came out of season, I have plenty that I put up. Wish me luck!! na cidade que moro não tem o bailey irish, posso substituir por outro, qual seria por exemplo. Hi Lindsay, I see that all your recipes are with vegetable oil and I was wondering if it would make a difference if I used corn oil in it’s place. I prefer corn oil for all my cooking and wanted to make sure it would be ok with your recipes. Thanks. I haven’t tried it, but in theory it should be fine. Hi Lindsay, I just read that you always use 2% milk and wondered if regular milk or perhaps silk milk would be ok, also wondered if using stevia instead of sugar would work. What would you consider regular? Whole milk should be fine. I’m not totally sure about Silk. It’ll have less fat in it, so if it does bake, it’ll change the texture a bit. I believe using stevia would also change the texture a fair amount, though I admittedly haven’t baked with it much. Hi Lindsey I have just been measuring out the ingredients and thought the sugar quantity seems a lot. Is this correct? The good: Delicious chocolate flavor and a nice texture. The bad: Way too sweet (as in hurt my teeth sweet) and not as Baileys forward as I’d like. If I try this recipe again I’ll definitely be reducing the sugar by half, increasing the Baileys, and taking the cocoa powder out of the whipped topping. 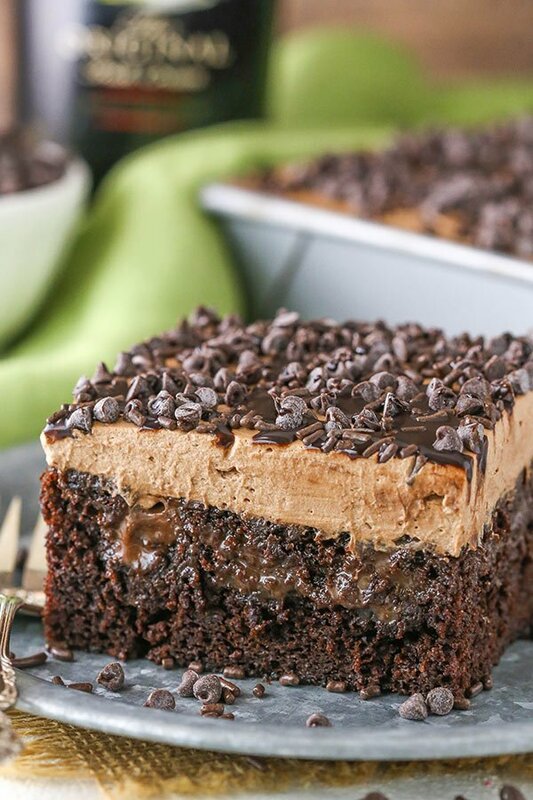 Hey made this recipe last night and accidentally placed the chocolate chips in with dry ingredients (cake batter) I considered them dry ingredients? Thoughts on what to do and how it will affect cake? Still used chocolate chips in filling. Hoping not ruined. Also agree with oven temp had to put mine back in oven at increased temp due to still wobbly when took out. Help! The chocolate chips will sink to the bottom of the cake when baked, since it’s such a thin cake batter. Shouldn’t be an issue unless it causes it to stick to the pan. It wouldn’t be because of the temperature, but if it wasn’t baked long enough it would definitely fall in the center. It could also be from opening the door of the oven too soon and releasing the heat. I was wondering it’s possible to substitute the liqueur with the Irish coffee creamer instead. Do you think the flavor of this cake would mix well with raspberry? Maybe adding Chambord to it somehow? I’m desperate to figure out a chocolate raspberry poke cake option for my husband’s birthday as they are his favorite flavors, but I’m not sure skilled enough baker to create my own recipes. I’m sorry to be so late to responding to your comment! It got lost somehow. If you still need some suggestions, let me know. This cake was a HIT!!! My husband’s new favorite! I followed the recipe exactly as written (only change was baking time as it needed 15 more minutes to be fully baked) other than that everything was just right! I was amazed with the rich flavour and texture as some other cakes tend to be too sweet… it made Father’s Day dinner extra special!! P.S. Most definitely will try some other recipes! So glad to hear it! I hope you enjoy some of the other recipes! Thanks Elena! Hi what temperature did you bake it at? Thanks! Sounds delicious! 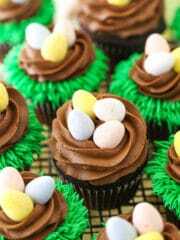 Do you recommend anyn variations if I wanted to make this as cupcakes instead? Somehow this cake appeared on my husbands Facebook feed and he sent it straight to me and (strongly) requested this be my next baking project. Surprised him for Fathers Day. He LOVED it. His reaction: WOW!!! Just WOW!!! I mean theres really no question why… It’s really delicious! Like, really, really really delicious. 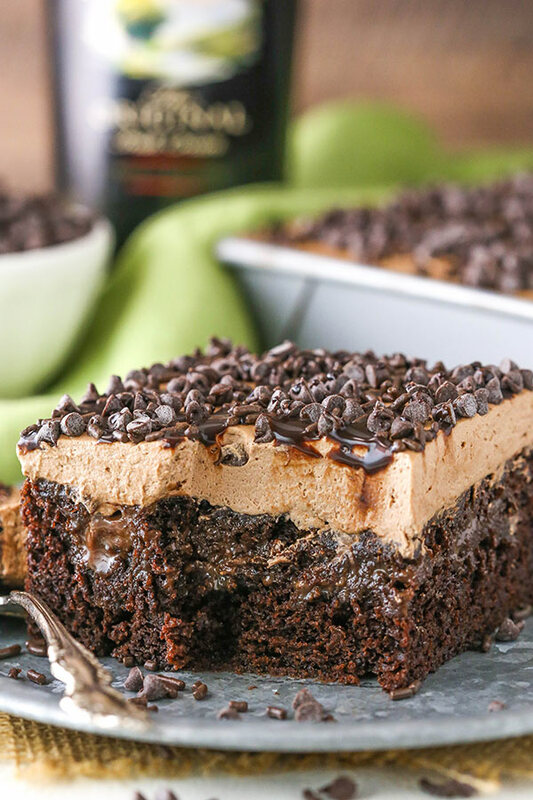 It’s tied with his favorite Guinness Stout Cake! Wonderful! So glad he loved it! May I know what is an Irish cream ? 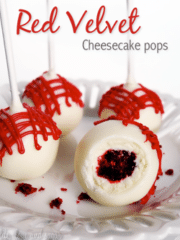 Looks absolutely devine, I’m definitely going to try this out sometime, but in the meantime if anyone else makes this delicious treat my address is…. Lol. This was the first cake I baked from scratch and it turned out great! I followed the recipe, although I used Jamaican Rum Cream instead of Bailey’s. I will definitely make this cake again. I really don’t understand why people are complaining about the sugar & alcohol. If you don’t drink alcohol & want less sugar, then don’t make this cake !! It is a treat & not something you would have on a daily basis. I made this for a party we had & what a sensational hit. Thank you for sharing. I might try it with Kahlua next time. 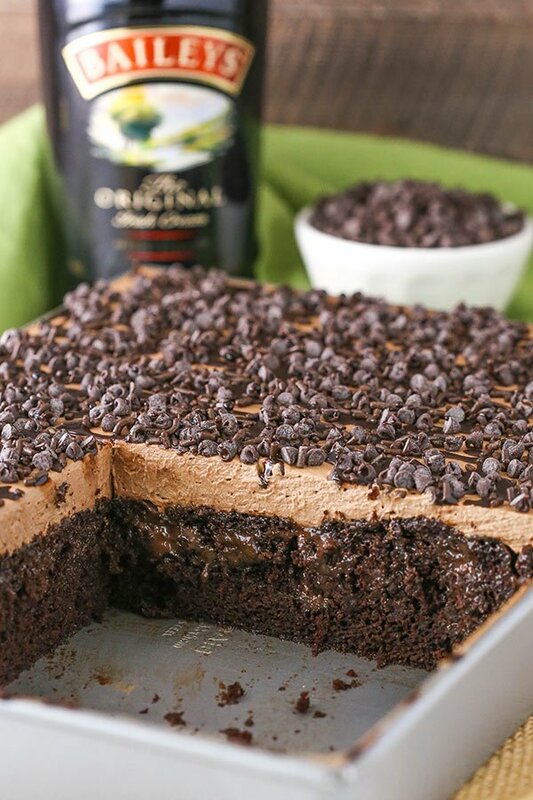 Hi my friends really love the cake I made from you using baileys chocolate poke cake instead of Irish cream he bought baileys chocolate cherry liquor can I use this in baileys poke cake instead of Irish cream liquor? Please respond thank you. As long as you like the flavor of the cherry, it should be fine. Hello. Can I do this cake GF ? Almond flour or coconut flour instead of plain flour? The cake looks AMAZING! I would like to give it a try ! I’m really not sure. I might try a GF four that’s a one to one swap to be safe. Thank you for sharing this recipe! It was so wonderful I’ve made it 3 times! I must say the alcohol in the cake evaporates, as in the ganache if you cook it a little longer. If you dont like the alcohol flavor too much, just add 2 tsp instead of tbsp to the whipped cream. Its a keeper!!! I’m sorry, I’m not familiar with high altitude adjustments. It would be good to have a ‘Print’ button for a printable version to avoid getting the 37 pages of cackling and clucking..
You’re in luck – there’s already a print button! It’s located right inside the pink recipe card. Cackling and clucking free, my friend. Hi, I am in doubt about que amount of sugar. 414g of sugar, plus the 240g condensed milk…. plus the baileys sweetness is that correct? could i make this cake using two 9 inch round tins ? I would think it’d be ok, you just might want to be careful of how much of the liquid you soak the cake with – it could make the cake a little unstable. Oops, i just made the recipe but used the whole cup of Baileys (missed the ‘Divided’ part!). So i will see how it goes – Only used 1/4 cup water instead of 3/4… hopefully it will work, just be a richer, stronger Baileys flavored cake! Luckily we like Baileys and it’s for a birthday, so the extra extravagance is acceptable! I hope it turned out alright! 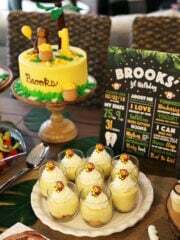 I love Bailey’s and so I made this cake yesterday and brought it to the barbeque dinner! Unbelievably good! I love it and all my friends all love it. Thanks Lindsay, for sharing your recipe. I tried this cake and it was so easy to make and tastes great!!! Wonderful recipe. Love love love it!!! This looks so yummy! 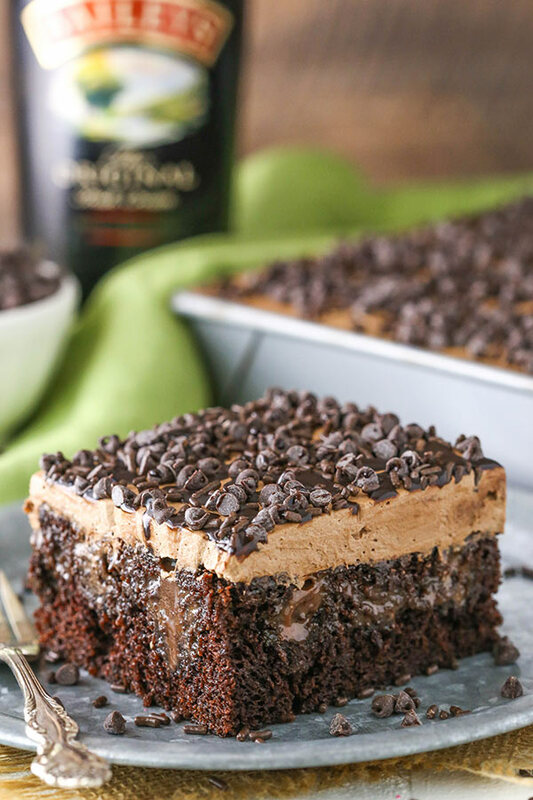 I know I’ll make it soon, but I’m wondering, can this cake be made with Kahlua instead of Baileys for a change? Certainly! I’m sure Kahlua would be delicious! Baking soda is correct. Baking powder won’t work in this cake. Thank you so much for this recipe! I just made it and am waiting for the first round of cooling. I made it with Amarula (South African cream liquor) because I didn’t have Bailey’s. I also sub’d Bob’s Red Mill GF flour instead of wheat because my doc wants me to be GF. Fingers-crossed it tastes good! The cake was a huge hit! No one knew I used GF flour and loved the mellow taste of Amarula. I made this with Kahlua instead of Bailey’s and it was wonderful!! Can Kahlua be used instead of Baileys? Sounds & looks yummy. Nice for company or potluck. Hello ladies ! This will be my very first cakrw from scratch and I am making it for my boyfriend ‘s birthday ! I have a question Can I use one of those aluminum cake pans ( the one you throw away after ) and is there anything special about baking in this kind of pan ? Ps I really don’t want to screw it ! Thank you ! ???? I honestly haven’t ever baked a cake in one of those pans, so I’m not sure what adjustments should be made. I’m sorry! How long in advise can i make this? is 24 hours ok or will it get to soggy? Yes, 24 hours is fine. I often make it a day ahead. Okay Thank you anyway ! How about a glass pen ? Hello again girls I really rocked the party with the cake ! Thank you so much for sharing the recipe ! I read all the comments and decided to go with a glass pan on 325 degrees for 45 min and it was perfect ! Thank you again???? May I ask what chocolate sauce you used?!! I use the Smuckers Sundae Syrup. Can you suggest a substitute for the liqueur? Something that’s not alcohol, as we do not use it in any way. Sugar does not make a cake rise. Sugar makes the cake tender. Baileys actually makes it’s own Irish cream creamer so you don’t really need to make a Irish cream from scratch. My sister saw this recipe and asked me to make it for her birthday. I haven’t tasted it yet ; it’s cooling in the refrigerator as I type this. Can’t wait! Will it keep in the refrigerator – once it’s all put together – for a few days? Yes, it should be fine when covered in the fridge for several days. It’s very moist so it shouldn’t dry out. I hope you enjoy it! I’m going to make this, but I’m going to use Chambord instead of Baileys. Chambord is a chocolate raspberry liqueur. I’m not a fan of Baileys. I found your recipe and loved it! 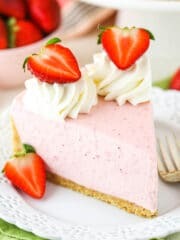 I thought it would be a lot of chocolate so I made my own version for a dinner with friends …before adding the whipped cream topping, I covered it with strawberry pulp. Der Kuchen ist ein Gedicht. I haven’t made it yet, but can taste it as I am reading the recipe!! My question for you is can Creme’ de Menthe or Kaluah coffee liquor be substitute to mix up the flavors? This is such a yummy cake–just love it, especially with the Baileys! My question is–can the recipe be halved? i would like to make it more frequently for just my husband & I. If so, what size pan would you recommend? 8×8 square? or round?…and how long should it be baked? I would say a 9 inch pan would be best – round or square. I’m not totally sure of the baking time, but probably around 25-30 minutes. So glad to hear you enjoy it! I loved your recipe. Although I thought it could be too sweet/chocolated…I added a layer of strawberry before the cream. It was delicious and my friends loved it. Ladies you need to understand that the use of sugar is not all about sweetness , it is also about the texture and the moistness. So be careful when replacing the kind of sugar and the amount. It creates tenderness. Sugar also is a leaven. Be careful ‼️???????????? I’m always a bit reluctant to trying recipes from sites that are new to me. I’ve been disappointed quite a few times with some bad experiences. I was a bit skeptical with the low temperature in this recipe but nontheless I followed the instructions strictly. Chocolate and Baileys together gave me the momentum to risk it. The result: an absolutely scrumptious, moist, chocolatey, heavenly cake!! It was simply perfect! My family loved it! Thank you Lindsay for sharing. I am now confident your recipes are trustworthy and have signed up for your newsletter! I will be trying other recipes. Thank you again, and I wish you and your family all the best! I’m so glad to hear you enjoyed it! Thanks Elizabeth! I made this for my book club they loved it and so did I. I did swap out the alcohol for Irish Cream for your coffee International brand and where it calls for three fourths cup of milk and half cup Irish cream I just use all cream. On topping I start with cool whip and add cocoa, Irish cream and vanilla and then add powdered sugar until the right consistency…the whole thing was just delicious…will make over and over again…very chocolaty and decadent. Any recommendations on baking this in a casserole dish vs a baking pan? I’m not really sure. Is it a glass pan? I do believe there are some differences, but I haven’t baked a cake like that to tell you for sure. I made this cake for a birthday party, it was amazing and very moist. I love how you explain everything and give some of your techniques in your recipes! While I was making this cake I thought the batter looked very thin but you reassured it would be and the cake turned out amazing! Hello I did something wrong.. Instead of half Irish cream I put 240ml in the batter.. that is why I am wondering.. I did not check properly.. What should I do.. ???? That would end up being too much liquid for the batter. You could try compensating by leaving out ½ cup of water if you haven’t ready added it, but it might not bake right. Would this be ok to sit in the fridge overnight with the whipping topping & chocolate chips or do the toppings the day of? Yes, the cake will be okay in the fridge overnight. The whipped cream will not wilt as long as you used the full amount of powder sugar in the recipe. The powder sugar stabilizes the whipped cream. I made this cake for my partner’s birthday and it was a hit!!!! Everyone absolutely loved it!! Been wanting to make this for weeks now.! Today. I finally get everything out and ready.. make myself a coffee with wine Bailey’s… Ok maybe I poured too much Bailey’s in my coffee, cuz I lost the condensed milk ????. When the recipe calls for mixing the dry ingredient, ii automatically assume I’m to mix the rest together (except 1/2 cup of Irish cream. Don’t drink the booze while baking alcohol infused cake recipes. Can this recipe be halved done the middle? And what would be the adjusted baking time do you think? What do you mean “halved down the middle”? Making half of the recipe? If so, then yes. Baking time would depend on the size pan you use. If you use a 9 inch square cake pan, I’d guess 25-35 minutes. Yes exactly that. Half the ingredients to make a half size. I imagined an 8×8 Pan. Thanks so much! I assumed that would work, appreciate your input. Looking forward to making! This was soooo good! I used the salted caramel Bailey’s and made homemade salted caramel sauce to drizzle on top. It was all soooo rich, but so worth it! That sounds yummy! So glad you enjoyed! Hi Lindsay! A big thank you from Italy where your cake is e huge success!!!! Everyone is enjoying the taste and the moistness! Grazie!!!!! I thought this was a great cake, especially the frosting. Big hit! Looking forward to making the raspberry Chambourd poke cake next! Are you sure 300 degrees F is correct? It seemed low to me, but I follow directions religiously. After 45 minutes, the top of the cake was a bit browned, but the inside was still quite liquid. (Movement of the pan resulted in waves beneath the browned top.) We boosted the temp to 350 degrees and it took at least 25-30 additional minutes to fully bake. The oven temperature is accurate. I’ve never baked a cake (or any other dessert, including cookies) at 300 degrees. The recommended temp is usually 350 or 375. BTW, the cake was a-ma-zing! I’m so glad you enjoyed it! The temperature is correct and I never have an issue with it. Perhaps there’s some difference between our ovens? I’m glad it turned out alright though! Made this cake as written, and it is excellent! I have a convection oven and noticed the cake was not done in the middle when baked in the alloted time at 300. I added about 10-15 minutes, then increased the oven temp to 350 and kept an eye on it. I would say bake at 350 for 35-40 minutes and check it, adding 3-5 additional minutes as necessary until done. I make a similar scratch cake that uses boiled water in the same size pan, and that is the approximate baking time. Thanks for sharing your tips! I’m glad you enjoyed! Lindsay’s cake is awesome and I have never tasted or made anything quite like it! Christine, your baking temperature and time are what I went by and it turned out perfectly. Thanks for that. Also, I used the handle of a wooden spoon to poke the holes and it worked great. No problem at all. Lindsay, thanks for letting all of us post these comments–it takes a village sometimes. 😀 This is an incredible cake and it looks really pretty. Thank you Christine, I had the same problem, my middle was undercooked and I just turned the oven up and hoping it will finish cooking in the middle and not make the outside to overdone. are we suppose to sift the flour and baking soda first or just put it in unsifted? I don’t usually sift it, but I use my flour and baking soda very regularly. If you think it’d be best to sift it a bit, it certainly won’t hurt. Hey, this is the first time I see this website and I absolutely love it. I wanna try this recipe, and I was just wondering if I can replace the irish cream with another cream? Or just not put it in the first place cause i live in a country where this kind of cream is not available. Thank you so much for the recepies. I’ll make sure to check out more in this site. You could try using an Irish cream flavored coffee creamer or another liqueur, such as Kahlua. If you’re looking to leave it out altogether, you could use this recipe here for the chocolate cake and then follow the rest of the recipe. I made this cake twice this morning. I messed it up twice. The directions are very confusing. I wasted a lot of expensive ingredients. I’ve been baking for 55!years maybe it’s time to quit! If you let me know what part is confusing, maybe I can offer some help. Could you do cupcakes instead? I am making this for Christmas Day! Can I substitute melted butter for the vegetable oil? I don’t think I’ve tried that, but I do think it would affect the cake. Not sure it’d turn out the same. I don’t know if I did something wrong, but cooking the cake at 300 for 45 minutes my center was still pretty liquid. I am moving the temp to 350 and hope it cooks. Not sure if I am doing something different or not. Did you use the full amount of powder sugar in the recipe? The powder sugar stabilizes the whipped cream. My only concern would be weather the cake would stand up well as a layered cake with all that moisture. Not sure. This is the most awesome chocolate cake I have ever made and/or tasted!!!! It is quite simply so amazingly delicious!! Soooo moist and yummy! Thank you for sharing this recipe and I will definetly make it again. I made this cake yesterday and have shared it with family and friends. 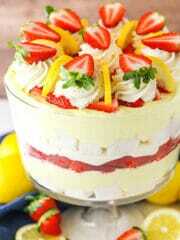 It is THE most delicious cake ???? I could seat the lot ???? One thing I will do next time is not put the baileys in the fresh cream. Thank you so much for a wonderful recipe ???? Yes, 2 9 inch cake pans would be fine. If you leave out the baileys, you would need to replace it with heavy whipping cream. If you are looking for a choc cake, this one is the layered cake version of this cake. Thank you for your reply. I did make a 9” cake and it was a great success ???? This is one recipe I will use again and again. I’m confused. In the written recipe it calls for milk. But I’m the video it says buttermilk. Which one do we use? I made this cake for the second time tonight because it was such a hit with everyone when I made it the last time. Have you tried any other flavors like Bailey’s Cherry or Cinnamon? I’m so glad you enjoyed the cake! I haven’t tried the Bailey’s cherry flavored. Here is the recipe for my Cinnamon Roll Poke Cake if you are looking for a cinnamon flavor. I also have a Red Wine Chocolate Poke Cake, Kahlua Chocolate Poke Cake, Guinness Chocolate Poke Cake, and other flavors on the blog. Hi, is it okay to make the cake 2 days in advance and then make the whipped cream topping? I’m planning to make for my fiances birthday but it falls right in the middle of the week. So i was thinking of making the cake on a Sunday and get the topping ready just before serving which will be on Wednesday. Yep, that’ll be fine. The great thing about poke cakes is they are full of moisture and last really well. Do you think I can just poke holes and add bailey’s to cake. Just trying to cut some calories from cake. Thanks for any input you can share. The Baileys is a good bit thinner than the chocolate and baileys mixture. While it wouldn’t be my preference, you could try it. I made this and my entire family loves it! Some have even gone so far to say it was the best thing I ever made. I really lucked out when I stumbled across lifeloveandsugar! Aww, wonderful to hear! Thanks Cynthia! I’m making this now, and was measuring the ingredients by weight. The cocoa powder at 85g looked like more than 3/4 cup. I reweighed 3/4 cup of cocoa powder and got 58g. Maybe a typo? Just wanted to let you know. ???? It’s not a typo, but thanks for letting me know! 🙂 I also measure by weight and that’s the weight I use. I hope you enjoyed the cake! hi, is this cake strong enough /would it be a good idea if i wanted to decorate this cake with fondant and some decor on top? I’m going to guess that it might not hold up well. It’s a very tender cake with a lot of moisture. Really delicious!!!! Last time i made it I forgot to add eggs, but it went sooo yummy, I dare to say it was even better than original recipe. My guests loved it!! I made it and it tastes incredibly delicious! Baileys is my favorite drink and this recipe is just dope! I used 1 -1,3 cup sugar instead of 2 cups and it worked out just great! I would even try to reduce it a bit more the next time I make it (for my taste). And I used soya milk instead of regular milk due to some minor allergies. Thanks alot for sharing, I loved it and everybody else did.